World Breastfeeding Week (WBW) is being observed from 1st to 7th August 2018. World Breastfeeding Week is celebrated every year all over the globe to encourage breastfeeding and improve the health of babies around the world. WBW is being jointly organized by WABA (World Alliance for Breastfeeding Action), WHO (World Health Organization) and UNICEF (United Nations Children's Fund). WBW came up with the goal to promote exclusive breastfeeding for the first six months of life which yields tremendous health benefits, providing critical nutrients, protection from deadly diseases such as pneumonia and fostering growth and development for the first time in 1991. 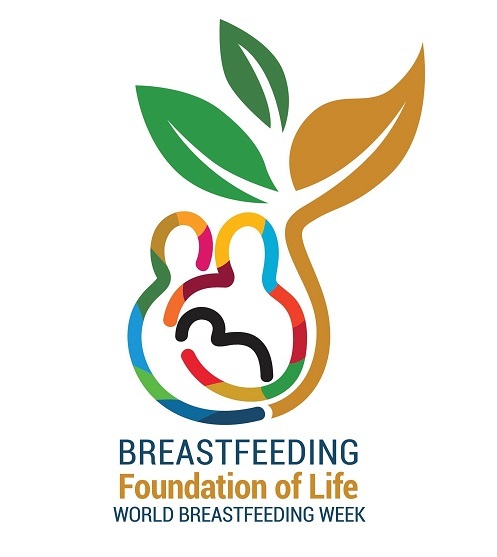 Theme of World Breastfeeding Week (WBW) 2018 : "Breastfeeding: Foundation Of Life"
France today passed a law banning Smartphones, Tablets and other Internet-Enabled Devices in Schools. The law provides exceptions for educational use, extra-curricular activities and for students with disabilities. Russian President Vladimir Putin has signed a decree establishing a new directorate in the Russian Army to promote Patriotism. Colonel-General Andrei Kartapolov, a Russian Army veteran who previously served in the country's conflict in Syria, will head the directorate. Rajasthan became 1st state in India to implement National Policy on Biofuels unveiled by Union Government in May 2018. Under this policy, Rajasthan State Government will lay emphasis on increasing production of oilseeds and establish Centre for Excellence in Udaipur to promote research in fields of alternative fuels and energy resources. Biodiesel plant of capacity of eight tonnes per day already has been installed in State with financial assistance of Indian Railways. The Union Minister for Petroleum & Natural Gas and Skill Development & Entrepreneurship Dharmendra Pradhan, laid the foundation stone for permanent campus of National Skill Training Institute (NSTI) for Women at Mohali, Punjab. This is the 1st NSTI Institute for Punjab and only one of its kind in India which is exclusively for women. The institute would not only be imparting training in traditional areas for women like beauty care, cosmetology & fashion design but also in cutting-edge technologies of various kinds. China today launched Gaofen-11, an optical remote sensing satellite which will be used to monitor its Belt and Road Initiative. The satellite was launched from the Taiyuan Satellite Launch Centre as part of the high-resolution Earth observation project. National Health Accounts (NHA) and Common Service Center (CSC) signed Memorandum of Understanding (MoU) to implement the Ayushman Bharat scheme through 3 lakh CSCs across the country. According to this MoU, a beneficiary can now visit the nearby CSC to get the benefit of this scheme and CSC will help the beneficiary to identify his name in the Ministry of Health and Family Welfare database and his entitlement for the scheme. Note : Ayushman Bharat is the National Health Protection Scheme, which will cover over 10 crore poor vulnerable families (around 50 crore beneficiaries) providing coverage of up to ₹5 lakh (per family per year) for secondary and tertiary care hospitalisation. In its 3rd bi-monthly monetary policy review, the monetary policy committee of the Reserve Bank of India (RBI) today hiked Repo rate by 25 bps for the second time in a row to 6.5%. In its June policy meet, the repo rate was hiked by 25 basis points. To help the domestic Solar Cell manufacturing sector, the Union Government has imposed safeguard duty of 25% on import of Solar Cells (whether or not assembled in modules or panels) from China and Malaysia. American motorcycle maker Harley-Davidson today announced that it is going to launch its first electric motorcycle, the LiveWire, in 2019. After testing the entire system, the Reserve Bank of India (RBI) gave approval to the India Post Payments Bank (IPPB). IPPB was incorporated on 17th August 17 2016 under Companies Act, 2013 as a public limited company with 100% Government of India equity under Department of Posts (Ministry of Communication & Technology). It was the third entity to receive payments bank permit after Airtel and Paytm. The bank is going to start it's operations in August with around 650 branches and 17 crore accounts. India's largest lender by market capitalisation, HDFC Bank, has launched its share sale to raise up to ₹15,500 crore today. The fundraise will comprise a mix of a Qualified Institutional Placement to domestic investors and American Depository Receipts to US investors. The bank, also listed in New York, is raising funds to strengthen its capital base and expand lending capacity. HDFC Chairman Deepak Parekh was today reappointed as non-Executive Director of the country's largest mortgage lender. J J Irani and Keki Mistry are also reappointment as Directors of the bank. England have become the 1st-ever team to feature in 1,000 Test matches, achieving the feat after taking the field against India at Edgbaston today. England, who had played their first Test in 1877, have won 357, lost 297 and drawn 345 of the 999 Tests they have played. Important Note : England are followed by Australia, who have played 812 Test matches. Indonesia has invited North Korean leader Kim Jong-un to attend the opening ceremony of the Asian Games next month. This comes after Indonesia extended a similar invitation to South Korean President Moon Jae-in last week. Important Note : North and South Korea will send a unified delegation to march together in the opening ceremony at the Asian Games.